The internationally-renown Greek musician, Yanni, revealed on Wednesday in a Tweet that he will be performing four concerts in Saudi Arabia. Saudi media agencies responded to the news enthusiastically. Two concerts will be held in Jeddah and two in Riyadh, under the supervision of the Saudi General Authority for Entertainment, according to Arabiya.net. The first will be held in King Abdullah Economic City on November 30, and the second on December 1, at the same venue. 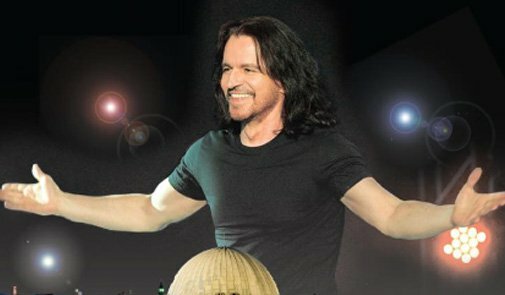 Yanni will then perform two concerts at the Riyadh International Convention and Exhibition Center on December 3 and 4, the website stated. January 2017 saw the first major concert performed in Saudi Arabia in seven years. The Saudi General Authority for Entertainment also organized a concert performed by Egyptian composer, Omar Khairat, in Jeddah’s King Abdullah Economic City on March 3 2017.
culture? Billions .. a franchise of Le Louvre.. Opera ..Concerts..
I’m old enough to remember when Yanni was cool.